Capture praise from all employees on a common platform. Enable all employees to give recognition to any colleague. Each recognition award is personalized and meaningful. We work with you to adapt our platform to your program's goals. It can be used as a stand-alone tool or incorporated into one of your workplace systems. 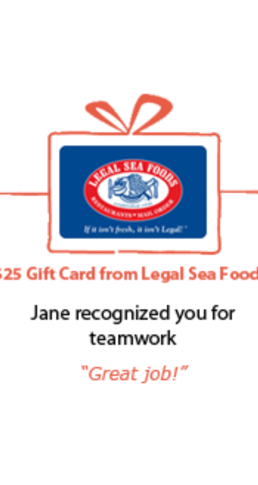 Create a program where employees can receive recognition awards such as eGift cards, company benefits, charitable contributions, and custom award experiences to others. We work with clients to craft a catalog and point/value structure that works with your program goals. Our reward network spans 25 countries. Our tools work across any device and adhere to your organization's security policies. Adapt the program to your goals and workflows. Research suggests regular praise and feedback leads to higheer levels of engagement. Celebrate great work. Help leaders measure the impact of the program with customized reports. Promote a culture where all successes (large and small) are celebrated. Regular positive feedback and praise help maintain an engaged and motivated workplace. Celebrate great work from anywhere with our tools designed to work on all devices and according to your program goals. 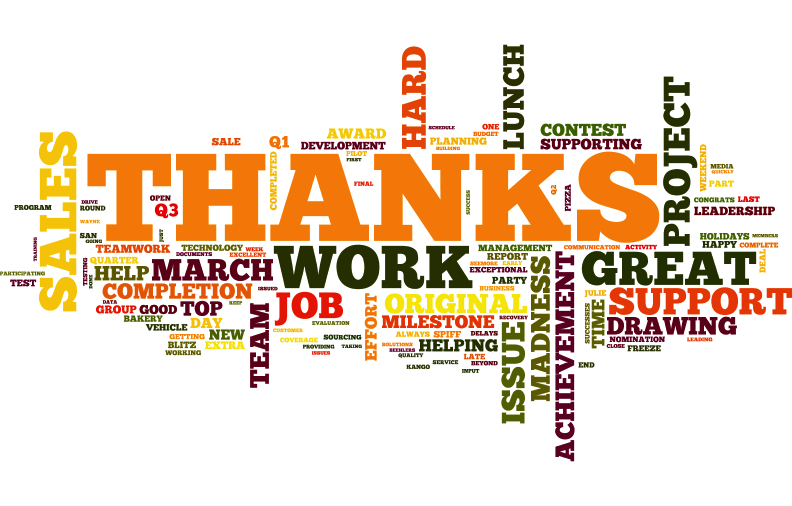 We help your employees express appreciation in ways that resonate. Our approach ensures praise is deliverd in an upbeat and measurable way. Our approach is to help organizations enhance their corporate cultures. Our peer recognition tools are designed to increase employee connections. Schedule a call with our team to see a demo.